Kosice´s faculty greatly superseded my expectations! Medicine in Kosice? Feels like a home to me! Studying in Košice? Perfect from the beginning! f Slovak Republic, Mr. Andrej Kiska. Ceromony took part on 16th of May 2016 in Bratislava, where professors from all universities and colleges were awarded this extraordinary degree. During his speech, president was speaking also about importance of education and discussion about level and quality of education in Slovakia. There is pressure from the side of public, as well as parents, students and teachers and this pressure should not be eased. In fact, not everything may be achieved by help of politicians, who represent legislative power within state. It is role of professors, to be voice of modernisation in education system of Slovakia as well as in science and research. „You have an opportunity to teach young people, students to be not only expert in their industry but also to do their best to become honorable, honest people, the citizens of our country and Europe. Citizens who are able to think critically, to argue, to distinguish facts from fiction to cultivate a public debate,“ he added. 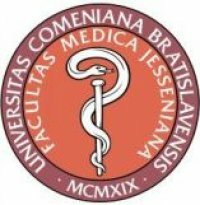 Applicants to faculty of medicine in Košice should apply for an entrance examination until May. Entrance examination takes place on 21nd of July and 18th of August in Kosice, Slovakia. There will be multichoice test. There is no entrance examination at the School of medicine in Nicosia, Cyprus. On the other hand, applicant must show motivation, good marks from secondary school and bring relevant documents. Applications are open until July. Przejdź do naszej polskiej stronie Medycyna Slowacja. Znajdziesz u nas wszystkie potrzebne informacje o wydziałach lekarskich, programach studiów, opłatach za studia, ale też rozmowy z obecnymi studentami oraz absolwentami. One of the best faculty of medicine in the region. Great teachers and international level of education.